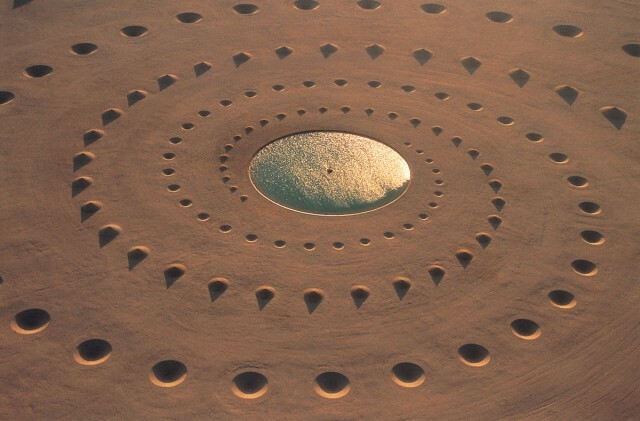 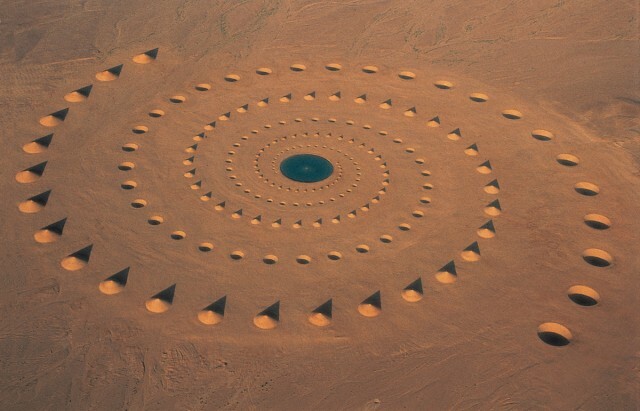 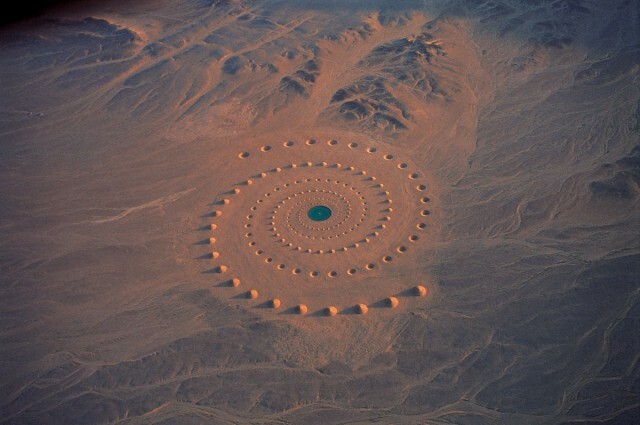 Desert Breath is a collaborative site specific project created by D.A.ST. 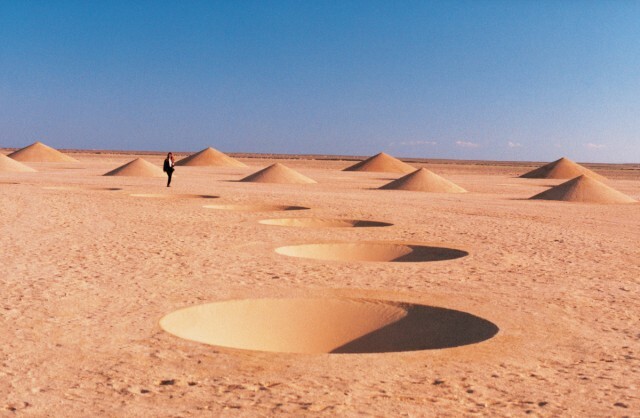 arteam, (Danae Stratou, Alexandra Stratou, Stella Constantinides). 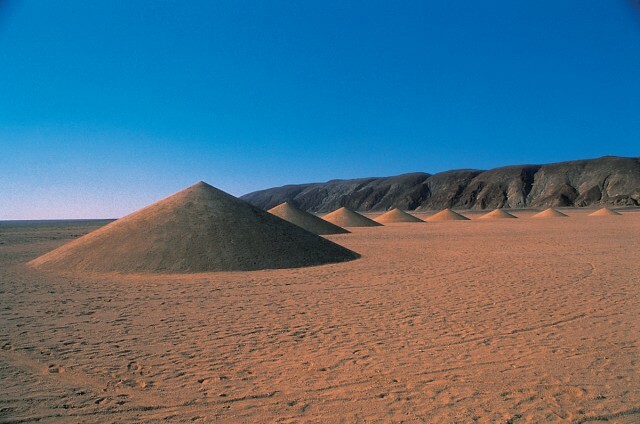 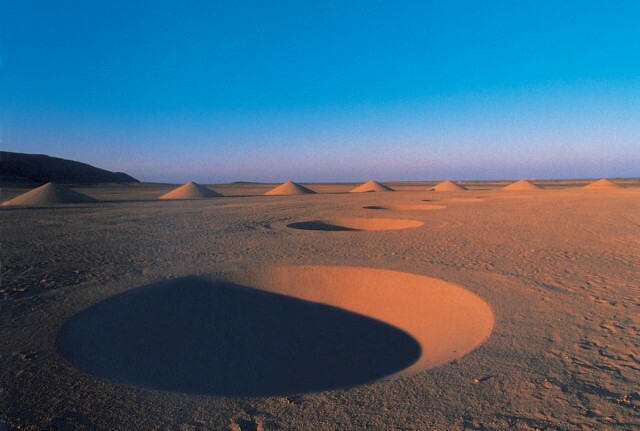 It is an Earth Work that covers 100.000 m2, in the eastern Sahara desert bordering the Red Sea in Egypt. 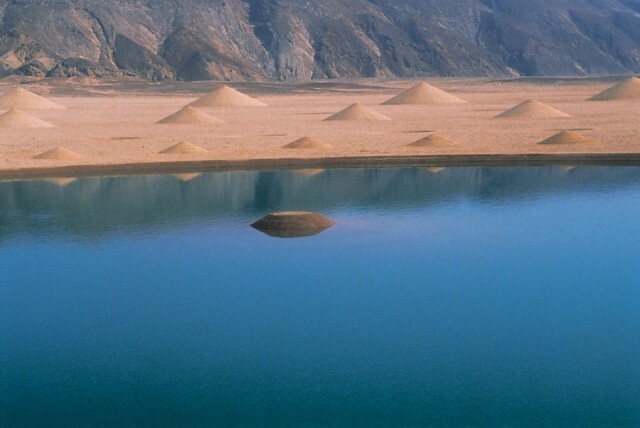 Its construction consists of the displacement of 8.000 m3 of sand formed so as to create precise positive and negative conical volumes. 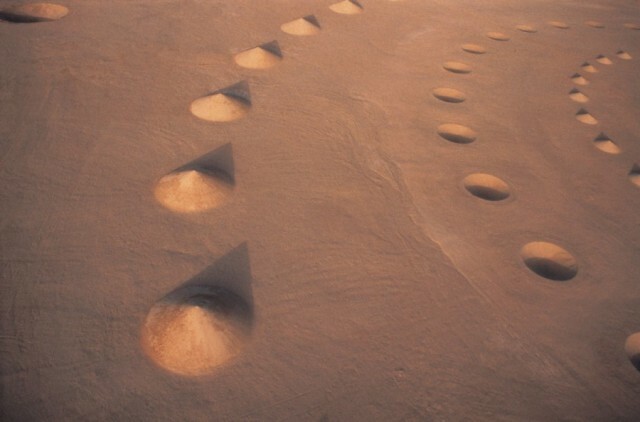 The conical volumes form two interlocking spirals that move out from a common centre with a phase difference of 180 degrees in the same direction of rotation. 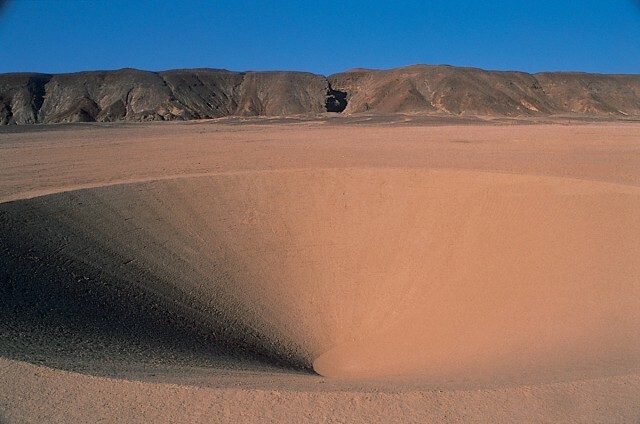 The centre is a 30-metre diameter vessel formed in a W-shaped section and filled with water to its rim.